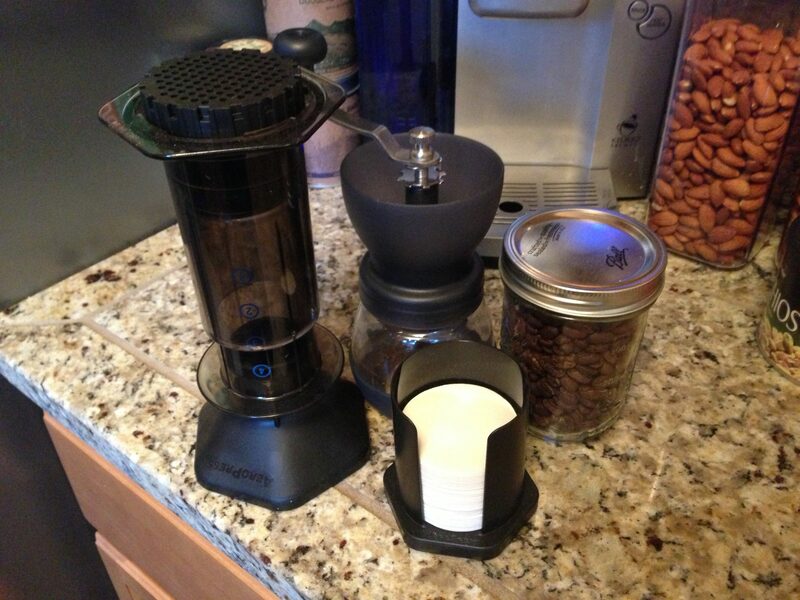 I recently received an AeroPress coffee maker in my monthly box of goodies from Bespoke Post. I was instantly impressed, it’s a really efficient way to make a very good cup of coffee in a jiffy. Some fresh grounds, a filter, hot water and a little push is all it takes. The system is also super easy to clean, I eject the puck of coffee into the composter and I’m good to go. For the price it’s hard to beat and it would be a great way to make coffee at the office or camping. You can pick up an AeroPress on Amazon for $25.